We are a leading Manufacturer of plastic container-2lbs,4lbs & shaker bottle and syrup bottle & eye dropper bottle from Navi Mumbai, India. 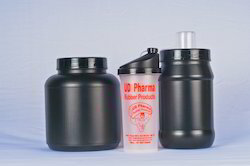 Sizes 1Kgs & 2Kgs HDPE/ PP Bottle. We feel immensely pleased to offer an exclusive gamut of Plastic Container. Our Plastic Container are suitable for catering various needs of domestic areas. These Plastic Container are checked by our quality analysts in order to deliver a flawless range. Along with that, we provide the entire range of Plastic Container in a variety of sizes as per demanded by our clients. 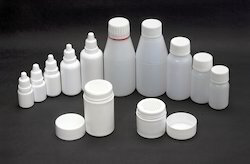 Sizes: 1Kgs & 2Kgs HDPE/ PP Bottle. Owing to our huge market knowledge, we have been able to serve our valued clients with a wide range of 4Lbs Protein Plastic Container. The offered Plastic Container are manufactured by our dexterous professionals using the qualitative raw material. Stringently tested by our quality controllers on predetermined parameters at our hi-tech quality testing unit, offered containers are widely used for packing of protein powders. Our offered containers can be availed in different sizes. Looking for Pharmaceutical Container ?